Tartu Biotechnology Park AS, Tartu City Government Department of Business Development and Estonian Development Fund are responsible for organizing the conference. Tartu Biotechnology Park AS provides physical infrastructure as well as business development and consultancy services to companies and R&D institutions in the fields of biotechnology, medicine and veterinary medicine. It supports companies in finding cooperation partners and is active in the establishment process of new companies. 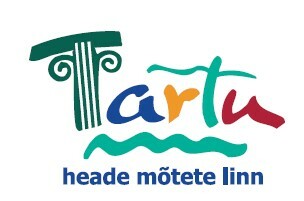 Tartu City Government Department of Business Development is engaged in the business development, collecting, organizing, and analyzing entrepreneurship material and organizing information days and courses. Estonian Development Fund is a public institution established by the Estonian Parliament and it acts on the basis of the Development Fund Act. The aim of the Development Fund is to support positive change in the Estonian economy through investment activities, development monitoring and growth programmes.